Turbojet fluid-bed granulator coater is leaf structure of the fluidized bed, and leaves are in a certain slope so that air flows from the blade through the gap to form a strong circulation-shaped flow. Then material was in swirling orderly movement, while the aerodynamic nozzle installed in the wall, or the adhesive coating solution was sprayed into the whirlpool-like material layer. Thus powder made into particles or continuous uniform coating. 1.This coating machine is widely used in powder granulation, granules, pills and enteric coating as well as flavor masking. 2.Turbojet fluid-bed granulator coater is suited to moisture-proof, waterproof, shading and insulation coating. 1.In turbojet fluid-bed granulator coater, materials move orderly with the swirl drive air distributor. 2.This coating machine avoids the channel and dead angle. 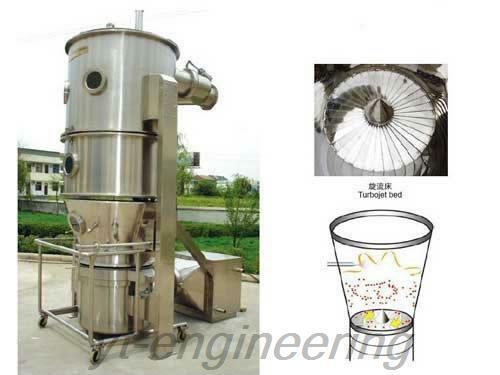 3.The finished products of turbojet fluid-bed granulator coater are porous, instant and stable. 4.The materials with poor moisture absorption and mobility can also be made into qualified particles. 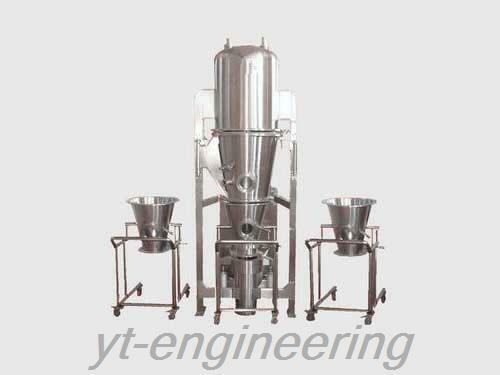 Over the years, Yutong is devoted to the development and production of turbojet fluid-bed granulator coater machine, drying equipment, grinding machine and mixing machine. We emphasize scientific and technological innovation and cooperate with many famous colleges to develop new products. Our products are accepted by more and more customers. Yutong develops quickly and accumulates abundant capital and technology strength. 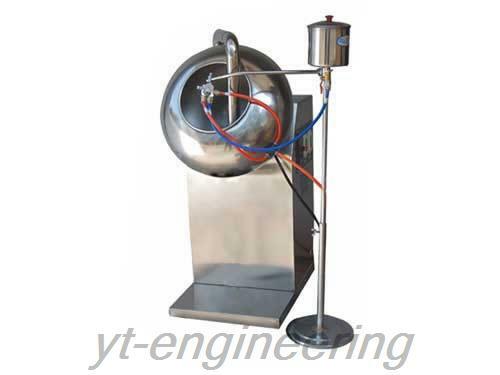 Yutong provides a variety of trial coating equipments for customers to test and inspect.